Visit CD Self Mailers on our Main Site! 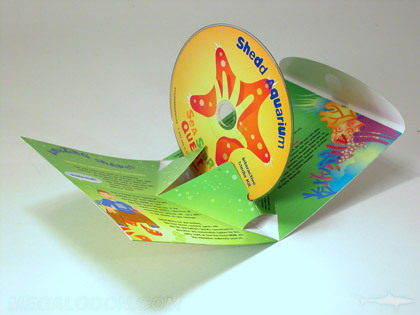 This unique packaging expands out, giving your DVD three-dimensional impact.The DVD pops up and rests in the center of the folder. Includes vecro tab (black or white), disc replication, 4C printing, assembly, and shrink wrap. Can be used as a mailer. Popup paks, Available only at Megalodon!